Jigsaw (Billy "The Beaut" Russo) is a fictional Character, a supervillain in the Marvel Comics Universe. Throughout his many appearances, he has served as one of the Punisher's few recurring villains. 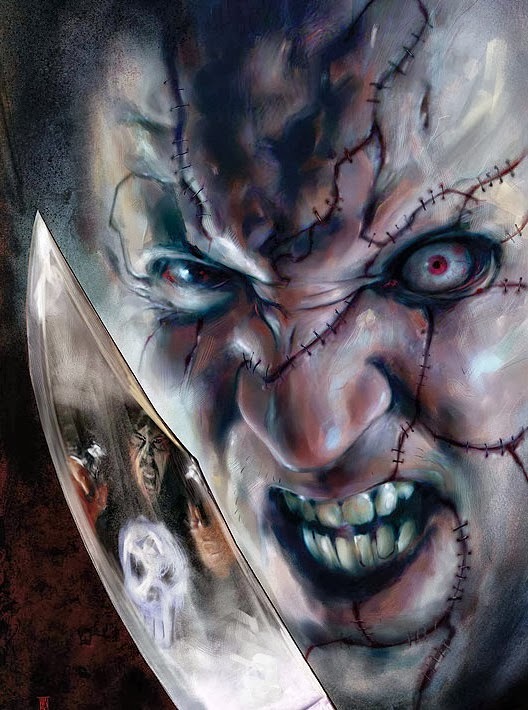 More about Jigsaw (Marvel Comics) Character Review - keep on reading !! Billy Russo was a professional criminal and brutal assassin for the Maggia crime family, nicknamed "the Beaut" because of his good looks. He was also a favorite assassin for the Costa crime family. After the execution-style killings that inadvertently led to the deaths of Frank Castle's family, Russo was hired by Bruno Costa to assassinate another assassin who had failed to kill Frank Castle as well. Russo kills all of his targets but Castle, who narrowly avoids death in an explosion. Hours later, Castle returns and tracks down Russo to one of the Maggia's nightclubs. Several criminals were killed, and Russo was thrown through a glass pane head-first. He survives with his face torn to shreds; because of the extent of the facial damage, surgeons stitch it back together like a jigsaw puzzle. 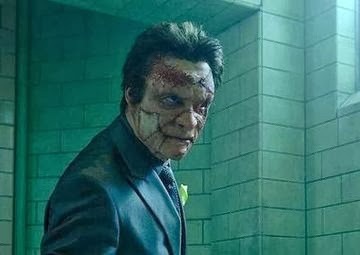 Taking advantage of his now hideous visage, the formerly handsome gangster took on the identity of Jigsaw, and initially attempts to frame the Punisher for murder. However, the plan failed due to the intervention of Spider-Man and Nightcrawler; Spider-Man witnesses one of Jigsaw's murders and one of his victims was an old friend of Nightcrawler. Jigsaw later battled Spider-Man again. It is revealed in the first Punisher miniseries that Jigsaw was behind a plan to drug the Punisher, causing his enemy to behave erratically and attack any criminals, even for things as minor as littering. Jigsaw also attempts to kill the Punisher in prison. The Punisher confronts and defeats him, and later stops Jigsaw from escaping in a prison riot. Later on in the series, Jigsaw is brainwashed by the Trust into serving as a member of a Punisher-style assassination squad. He manages to remember who he is after encountering Castle once again, and attacks the Punisher. He is defeated once more. Jigsaw becomes involved with a demon worshipper, Reverend Samuel Smith, whom Jigsaw refers to as "the Rev". Based on healing demonstrations, the Rev convinces Jigsaw to work for him in exchange for healing his face. Jigsaw follows the man on a home invasion/murder spree, and then kills several cops on the way out; Jigsaw would continue to work for the Rev for some time. When the Rev finally did heal Jigsaw's face, Jigsaw was killed at the hands of the Punisher. He was subsequently resurrected by the Rev and his master, Lucifer (actually Belasco). 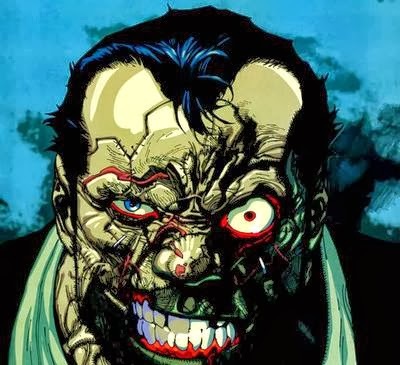 He battled the Punisher and his face was ruined again when the Punisher pushes him face down into an aloe plant. Jigsaw has been a persistent foe of the Punisher's for years. While he still works as an assassin for criminal organizations, his pursuit of the Punisher is relentless, as Jigsaw sees Castle's assassination as an unfinished job. The deranged gangster's vendetta once took a bizarre turn when the Punisher faked his death by appearing to be executed in prison. 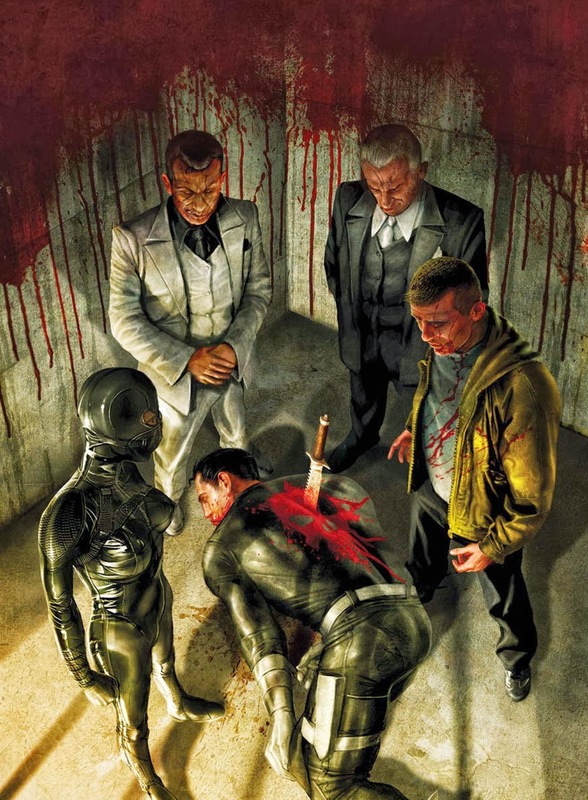 Furious with rage, Jigsaw briefly became a new Punisher, getting revenge on Castle's apparent killers for denying him the kill he believes to be rightfully his. After his arrest for attacking Matt Murdock's home, Jigsaw was one of many villains to break out of the Raft, a floating prison for supervillains and other high-risk criminals. He breaks Spider-Man's arm in the escape. He was later seen fighting Luke Cage. Once freed, Jigsaw fought and was defeated by Tigra. This humiliating defeat led to his forming an alliance with the self-proclaimed "super-villain Kingpin" the Hood; together the two joined forces to brutally torture the super-heroine Tigra, which Jigsaw recorded with a video camera. He also takes part in the attack on the Sanctum Sanctorum, attempting to murder Jessica Jones. He was foiled by Spider-Man. 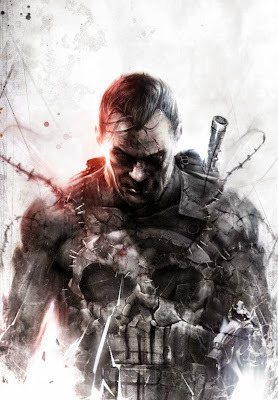 Jigsaw has resumed his vendetta against the Punisher, in the pages of Punisher: War Journal. Now wearing a color-inverted mockup of the Punisher costume, Jigsaw arranged for the brainwashing of a young auxiliary police officer in the NYPD. Exploiting the naive cop's pathological "hero-worship" complex, Jigsaw and his new psychiatrist girlfriend turn the young man into a new version of the Punisher. After a battle on the Brooklyn Bridge where the Punisher once again spares Jigsaw's life, Jigsaw is taken into S.H.I.E.L.D. custody. While imprisoned he is seemingly shot dead by the man that he and his girlfriend (who was actually undercover S.H.I.E.L.D. agent Lynn Michaels) had brainwashed. In "Secret Invasion", he is among the many supervillains who rejoined the Hood's crime syndicate and attacked an invading Skrull force. Jigsaw is an athletic man with no superhuman powers. During his time in prison he was able to hone his physical strength to a level comparable to the Punisher. He has extensive experience with street-fighting techniques, and familiarity with a variety of weapons and criminal techniques. He carries various handguns as needed. He has been known to wear a special exo-skeleton in his outfits. Though lacking any formal military training, Jigsaw is an exceptional strategist and tactician. His unorthodox pattern of operation makes him more difficult for the Punisher to anticipate than the majority of Punisher's enemies. Before Jigsaw was disfigured he was a highly charismatic leader and criminal organizer; after the accident only the latter trait remained. 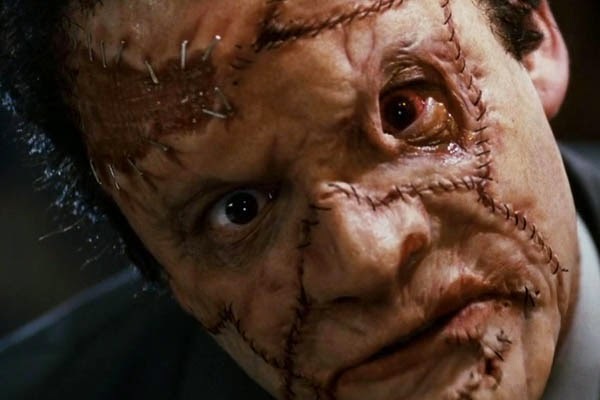 Dominic West portrays Jigsaw in the film Punisher: War Zone, though the character's real name has been changed slightly to Billy "The Beaut" Russoti. In this film, while attending a meeting, the Punisher attacks and kills a mob family. Billy escapes and is pursued by the Punisher. Later, Billy accidentally falls into a glass crusher, and the Punisher turns the machine on which grinds him around multiple times against broken glass bottles. Although Russoti does not die, his face is horrifically mutilated, leaving him permanently disfigured. However, his plastic surgeon is unable to restore his face, stating that Billy's facial muscles, tendons and skin were damaged beyond repair, leavig him with his trademark disfigurement. After killing the surgeon, he chooses to remain focused on killing the Punisher, going under the name "Jigsaw". He then breaks his mentally unstable brother, James "LBJ/Looney Bin Jim" Russoti, out of a mental hospital and they plan their revenge on the Punisher. He is eventually impaled on a sharp metal pole by the Punisher before he is thrown into a fire, killing him in the final battle at the Brad Street Hotel.